EOL Builders started out in San Jose, California to offer homeowners a variety of building, construction, and remodeling services that fit their style, wants, and budget. We are a fully licensed, insured and bonded company. At EOL Builders we have a few principles that we stand by no matter the project at hand. Those are, being honest with our clients, delivering exceptions service, providing reasonable prices, and creating beautiful, safe, and up-to-code homes. With years in the construction industry, and after completing work in hundreds of homes, we can safely state that our clients are our number one priority, and it is proven by what they have to say. Let us help you in the making of your dream home a reality. We provide a free cost estimate to all new clients and all new projects of existing clients. Our customer service representative will assist you in any questions you might have. All projects will have the necessary permits and inspections needed to ensure safety and legality. Services Provided: Bathroom Remodeling, Cement Work, Electrical Work, Energy Efficiency Building, Fences, Flooring, Garage Doors, General Construction, Hardscaping, Home Remodeling, Interior and Exterior Paint, Kitchen Remodeling, Living Room Remodeling, Patio Building, Plumbing and Re-piping, Roofing and Gutters, Room Addition, Stucco/Re-stucco, Texture Coating, Windows and Doors, and Wood Deck Building. We are a locally-owned kitchen & bath retailer and design studio. We offer high quality, custom and semi-custom kitchen cabinets, all built with specific attention to craftsmanship in North America. AE Kitchen & Bath is the Bay Area's premier Kitchen & Bath Remodeler. Located in San Jose, we take pride in our ability to provide the highest level of quality, craftsmanship and customer service. We have over one thousand countertop selections all made from high quality materials designed by top brands. We are dedicated to providing an extraordinary customer experience and upgrading your home! emark opened its shop, among the scenic beauty and cultural attractions of San Francisco Bay Area. 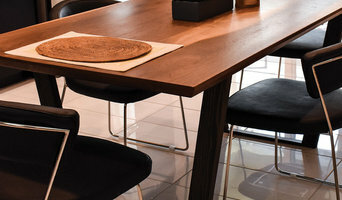 We focus to create one-of-a-kind items that reflect our customers' unique tastes through listening and getting inspiration from home kitchen and bathroom trends. Whether you have a design in mind, or looking for ideas, we work with you to build the furniture or cabinet piece of your dreams. Our furniture is custom made to fit your needs, built to last with hand selected hard woods, and provide functionality and years of enjoyment. While our design aesthetic is outwardly simple, each project is hand crafted with care out of the finest quality materials. They are made to improve the quality of life for regular household functions while adding a splash of personality to your home. Tell your story through our hand crafted furniture and cabinets. For more of our work, please see <a rel="nofollow" target="_blank" href="http://emarkathome.com">http://emarkathome.com</a> for a portfolio of selected projects. DIY kits are available for purchase to offer you a chance to become a maker. These kits are ready to assemble, and provides you with all of the components needed to build the same things I do. Make something special, make memories, make it last - be a maker! Niche Interiors is an award-winning, sustainable design firm with offices in San Francisco and Wine Country. Best of Houzz 2012-2019. Principal Designer Jennifer Jones is a LEED AP and Associate ASID. Niche Interiors has been featured in Elle Decor, Luxe Magazine, The Wall Street Journal and the San Francisco Chronicle. I specialize in creating rooms for “real people” like you. Keeping your taste and lifestyle in mind, I provide design guidance, an expert eye, and creative flair to help you get the home you want. Founded in 1950 by John Wilkins, Custom Kitchens has continued to provide a one stop shop approach for your home construction & remodeling needs. With our friendly showroom atmosphere, award winning design team, wide range of talents, products & services, our design/build process has continued to prove successful for our clients & their family. Your investment in your home, your quality of life & your future are very important to us. The high standards maintained such as jobsite cleanliness, green building practices, consistently completing work on time & personal supervision have continued to bring back former clients, many of whom have become family friends. Our clients have become our best spokespeople. This philosophy and our hard earned reputation has set us apart as a recognized leader in home remodeling for 67 years. At Etna Remodeling, we work all over Northern California to help you build out the home of your dreams. We work on home remodels, kitchen remodels, and additions to transform your home. We find joy and purpose in creating personalized and meaningful designs that provide our clients with a sense of self and well-being. CM Natural Designs has been featured on HGTV and in many magazines, newspapers and web publications. Though based in California, the Design Crew are avid travelers—having done work nationally and internationally. We enjoy working with clients from all parts of the globe and have had projects across the United States, Mexico, Australia, New Zealand and Turkey. We are always eager and excited to add more countries to the list! The team are members of the San Diego Architecture Foundation (SDAF), American Society of Interior Designers (ASID) and the United States Green Building Council (USGBC). We bring your visions to life by collaborating with clients, ensuring that their personal design needs are met. We pride ourselves on providing exceptional service and professionally detailed work. With over 36 years experience, we offer competitive pricing as well as a vast knowledge of kitchen/bathroom remodeling and design. We have countless options to ensure you get a custom personal space! 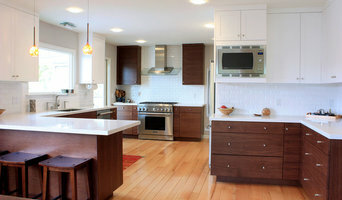 Precision Cabinets is the #1 provider of high-end, fully custom cabinetry in Northern California. We are proud to be the only manufacturer in Northern California to participate in the KCMA Environmental Stewardship Program. The 5 tenets of the program are: air quality, product resource management, process resource management, environmental stewardship and community relations. We take great pride in creating great spaces! We bring projects from beginning to end - Design, Build, Finish, Deliver, & Install - combining high-quality product with unmatched service. KNOCKNOCK is a full service kitchen and bath design and build company, offering cabinets inspired by Italian design, built by American cabinet makers in here the Bay Area. 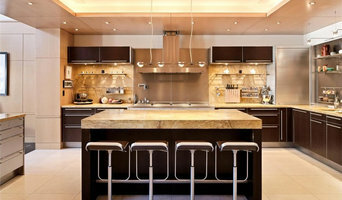 We specialize in unique and creative kitchen design solutions. We carry a wide range of products from around the world, ranging cabinets, high grade appliances, quality tile and much more. For 17 years, Hector has been constructing commercial and residential projects. He started H&X in 2003 and works closely with his consistent main set team. Pacific bay construction has been performing bathroom and kitchen remodeling in the SF Bay area since 2010. Pacific bay construction is dedicated to providing premier customer service. An industry leader in Italian and European home design. Family-owned and operated since 2002, we offer our customers only the highest quality Italian products from the best manufacturers. We offer a range of modern, contemporary, and traditional products that can accommodate any budget and style. Our highly trained installation team specializes in detail and efficiency to ensure a smooth installation process. Our products include: kitchen cabinets; bathroom vanities; countertops; appliances; closets and wardrobes; furniture; entertainment centers; shower enclosures; interior and exterior doors; office furniture; lighting; and staircases and spiral stairs. Dedicated to creating unique environments that reflect out clients' individual styles. Our job is to add, edit and refine while ensuring that your design preferences are always the core of our work. We take pride in establishing long-term relationships by creating eclectic, eco-friendly and functional environments for all of our clients. With nearly 20 years of experience designing & building kitchens & baths in our community and we've built a solid reputation and a long list of happy, satisfied clients. As your local organizational Specialists, Tailored Living featuring PremierGarage in San Jose is dedicated to bringing outstanding service and personalized organization solutions to California. Atelier Noël is a full-service interior design studio specializing in residential design. With over 17 years of experience in the industry, past projects include both residential and commercial design in the Bay Area, Los Angeles, and New York City. The visionary behind the firm, Noël Han, is trained in interior design, fashion, and business. This unique background has enabled Noël to create impeccably tasteful spaces that are timeless, elegant, and sophisticated. Such experiences have also forged a strong ability to multi-task project components and meet key construction deadlines. For remodeling projects, our goal is to achieve a result that is both functional and idiosyncratic for each client, by guiding you through each phase of the process. Noël is currently a certified interior designer in the state of California and an allied member of the American Society of Interior Designers. 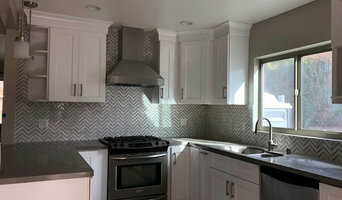 VM Tiles provides a wide variety of decorative and efficient Kitchen and Bathroom fixtures to homeowners, plumbers, builders and contractors for new construction or remodeling. IDF Studio is an award-winning residential and commercial interior design studio that’s equally obsessed with daring creative and impeccable project management. Serving savvy homeowners, budding families, ambitious startups, and prominent VC firms in the Bay Area and beyond since 2010, we’ve carved our niche on being straight-shooting problem solvers who work hard to create spaces that are both stylish and sincere. ZMC Products is a family owned and operated company founded in 2002. We work closely with custom builders and remodelers as well as the home owners to create the kitchen and bath of your dreams. Christine Sheldon Design is an award winning, full service interior design company dedicated to providing personalized, creative interiors to residential clients living in the San Francisco Bay Area. With a clear focus on quality and comfort, we create timeless, chic interiors that lift influences from both classical and contemporary genres. Our unrivalled professional enthusiasm, outstanding level of service, attention to detail and design innovation, have seen clients returning to us time and time again. Christine and her dedicated team are adept at delivering projects on time and within budget without ever compromising on craftsmanship or style. Recent assignments include projects in many of the peninsula's most prestigious neighborhoods in Atherton, Hillsborough, Woodside, and San Francisco. We will build your dream home with all of these- Quality, Reliability, Affordability and Trustworthiness. Our specialty lies in remodeling and luxury home renovations. Call today to get started! Design Loft Company offers Interior design services delivered by award-winning designer with 20 years experience, tailored to your needs, preferences and budget. Each client commands our personal attention from start to finish. We work closely with each of our clients to understand their ideas and needs. At Design Loft Company, we help you realize your dreams. Projects as large as an entire custom home, or as small as window treatments. We create award-winning designs that are as beautiful as they are functional. Each project is unique, an inspired design that emerges when form and function meet quality materials. We are a boutique residential design firm, offering a complete range of design services from concept to specification to build management. Hellen Hsieh completed her Bachelor of Science at Art Center College of Design with a focus on Environmental and Interior Design in 1993. Since that time, she has been partnered with several noteworthy interior design firms in the East Bay. She offers years of experience in commercial and high-end residential design. Her award winning designs have been highlighted in local magazines, including San Jose Magazine and California Home and Design. SF Bay Area's Preferred Interior Design Firm | New Berkeley Showroom! Michael is the principal of M. Garig, Inc. and he has been in the Interior Design business for over a decade. Whether you need a custom sofa or design consultation, he works with B2B and B2C clients. Cabinets and cupboards are crucial organizational components of any kitchen or bathroom. Yet, for such an essential element, homeowners often compromise on their cabinetry, settling for cabinets that neither complement their style or meet their needs. Custom cabinetmakers in Union City, CA has the transformative power to create a practical yet personalized space unique to you by creating custom cabinets that have all the storage elements you need as well as the stylistic ones. Custom cabinets have the benefit of being designed specifically for you in terms of both appearance and usability. When it comes to stock cabinetry, you are limited to generic, cookie-cutter designs, dimensions and colors, which isn’t ideal for outfitting a uniquely shaped kitchen or for showcasing your personal style. Custom cabinets are solely crafted based on your specifications and needs, and while they are pricier than pre-made pieces, you’ll receive a higher level of craftsmanship and durability when you work with a professional on Houzz who specializes in custom cabinets in Union City, CA. Create an ideabook on Houzz and save examples of the custom cabinets you want — this will help your Union City custom cabinetmaker get on board with your vision and make your design a reality. Additionally, if you are undergoing a remodel, keep in mind that a blueprint needs to be finalized prior to any kind of cabinet building and installing; given the one-of-a-kind nature of a custom cabinet, room dimensions need to be completely finalized before any work can commence.